Long term natural pest control is the most cost effective approach to managing insect pests. Integrated pest management (IPM) provides stable, continuous suppression of pests by promoting their natural enemies. The long term approach is also the least toxic method of controlling insects. Chemicals, used only as a last resort, are normally not needed. Most chemical insecticides have very poor aim: they cannot target a particular kind of insect, but blast everything in their path, killing not just the pests but their predators as well. The white flies will go, but so will the ladybugs which feed on them. This means, ironically, that these products are effective for only a limited time (see The Pesticide Problem). 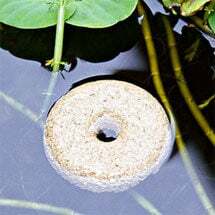 Because they cut such a broad swath through the insect kingdom, they leave a “hole,” an ecological niche, into which the pests can easily return–unless you spray again, and again. Toxic insecticides, therefore, are a tactic of limited use. There’s another compelling reason to avoid toxic sprays, and this is their tendency to move up the food chain. Remember DDT? This was the insecticide used so widely in the fifties and sixties, until it was found to be weakening the eggshells of birds who fed on the poisoned insects. At Planet Natural we offer a large selection of organic pest control solutions that are guaranteed SAFE and effective. Got bugs? Visit our Pest Problem Solver for pest pictures, descriptions and a complete list of earth-friendly remedies. Long term control, by contrast, is achieved through an ecological and economic approach to pest control known as Integrated Pest Management (IPM). As the term “integrated” suggests, IPM does not depend on a single tactic but on combined tactics that are more effective in the long term than any one used by itself. IPM does require a certain investment in time and energy, but it is less complex than it may appear, and it will eventually make achieving your growing objectives easier. 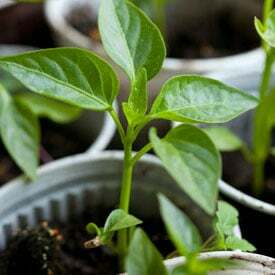 The garden supplies offered on PLANETNATURAL.com will help you manage pests in the most cost-effective way, and they are the safest for you, your pet and the environment. Do a little background reading on common insect pests of the plants you want to grow. Field scout and monitor with traps to identify pests (not all insects are pests!). Learn the pest’s life cycle so that treatment can be chosen and timed to be most effective. Establish a level of acceptable damage (not all pests are of economic importance). Monitor the pest situation regularly. Only when monitoring has indicated that the pest will cause unacceptable damage should treatment be considered. 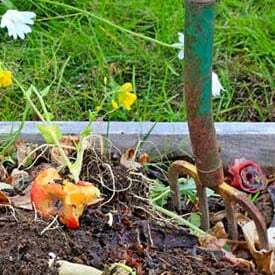 Involves simple modifications to the pest’s habitat that reduce its food, water, shelter, growing room or other needs. 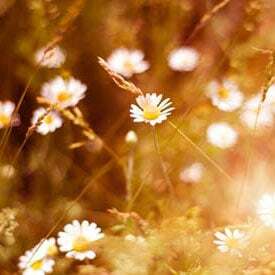 Crop rotation and enhancing the environment for the pest’s predators, parasitoids and pathogens (flower mixes can be used to attract pest predators) are effective strategies. Other cultural control strategies include changing watering practices, adjusting soil pH and selecting plants that are more resistant to pests. Hand pick or kill pests physically. 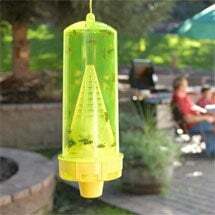 Includes a variety of tools that trap or keep pests out. (Sometimes traps alone will give control.) 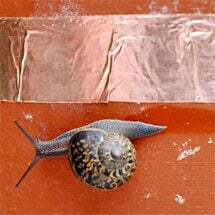 Popular strategies include using copper tape barrier to exclude slugs and yellow sticky traps to capture fungus gnat adults. Regular releases of commercially available insect predators and/or parasites (as a prevention and control measure) is part of “conventional” farming IPM. Used in this country since the late 1880’s, beneficial insects attack and destroy only insects; they are harmless to people, plants and pets. Green lacewing and trichogramma wasps are two of the better known predators/parasites. These insecticides are living or are toxins produced by living organisms (some of which are microbials such as bacteria and protozoa). 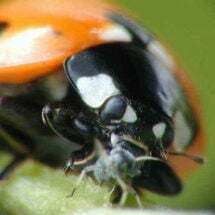 Biopesticides are safe for the environment, have little or no effect on beneficial insects, and are in most cases pest specific. 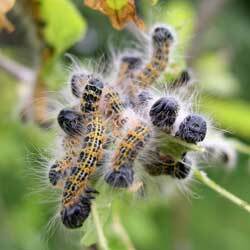 Bacillus thuringiensis kurstaki (Bt-k) is a naturally occurring biopesticide that has been used since the 1950s against leaf eating caterpillars such as cabbageworm, tent caterpillars, tomato hornworm and gypsy moth. These insecticides are generally “natural,” degrade within several days and are not particularly toxic except to insects. They dehydrate or smother pests, but are not selective in that they also can harm beneficial insects. Diatomaceous earth, Safer® Soap and horticultural oil are a few of the safe and effective insecticides found in this category. 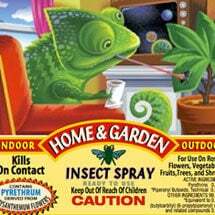 These natural pesticides, derived from plants, provide a powerful “knock down” to a large number of pests. 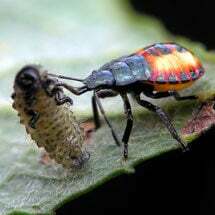 They leave no residues and breakdown quickly in the environment but can harm beneficial insects. As a result, they should only be used after other least-toxic options have been tried. Pyrethrin spray and organic neem oil are two popular botanicals used on backyard crops. Will dish soap and water in a sprayer get rid of white flies? not really very well. Ive tried with not much luck. You need an insecticial soap with a sticking agent. I used azatrol and it worked pretty well. thie other thing you can do is to pull whatever is infested. Hey This is great. I am always looking to better my education especially since I get a lot of questions that are answered in this article. I appreciate you taking the time to write this. 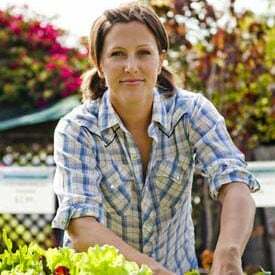 I own a pest control service business with my wife and daughter in the Jacksonville NC area, and we are always asked about different ways to control pest issues in the garden arena. I am always trying to learn new ways for pest management as there are a lot of people in my community that have home gardens. Thank you again! I will reference this, and do more research.